Do you like redecorating your room so it looks inviting as well as relaxing? Do you want to make things more accessible and your room layout more functional? If so, you probably love interior decorating. Interior decorating encompasses a wide area of interests: the paint on the walls and on the other surfaces of your room, wallpaper, carpet, tiles, light fixtures, furniture, and even paintings and sculptures. It is not easy to define exactly what modern interior decorating is since it can actually take on many forms. It seems like there are new design themes and styles coming out every day. In fact, the sky's the limit when it comes to modern-day decorating. Identical designs are no longer the norm. Nowadays, your personality is reflected in your room's interiors. 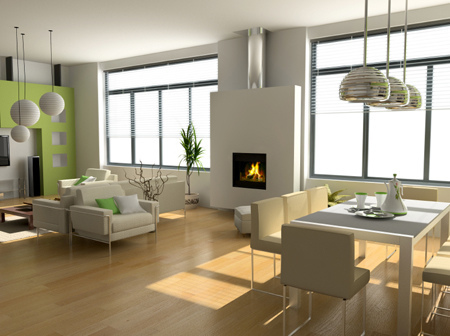 To create a new look and feel to your room, you may want to try this more up-to-date form of interior decorating. Although there are different classifications to modern design, they can be used as a guide to how you can go about redecorating your place. You can choose to go with an eclectic style of designing. This is a more common style of modern decoration. As its name implies, eclectic decorating makes use of a combination of different styles to give rise to a completely unique look. Usually, interior decorators just incorporate designs that appeal to them personally, positioning furniture and décor to their liking. You could do the same for your room. Another decorating style is art deco. Although art deco is classified under modern designs, this style was actually inspired by the 1920s and 1930s. In this style, a lots of lines are used in angular, but elegant, ways. Colors are bright and vibrant. You may want to go whimsical if you like bright pastel colors. As suggested by the name, this style has no set pattern. A whimsical design applied to a room often gives it a standout and fanciful look and feel.